Endodontists are dentists with at least two additional years of advanced specialty education in diagnosis and root canal treatment. Because they limit their practices to endodontics, they treat these types of problems every day. 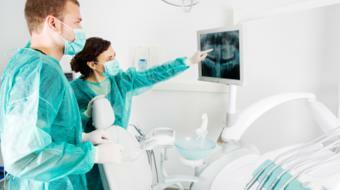 They use their special training and experience in treating difficult cases. Endodontists may use advanced technology, such as operating microscopes, ultrasonics and digital imaging, to perform these special services. Patients requiring root canal therapy are either referred by their general dentists to the endodontist or are self referred. Inside a tooth, under the white enamel and a hard layer called the dentin, is a soft tissue called the pulp. The pulp contains blood vessels, nerves, and connective tissue and creates the surrounding hard tissues of the tooth during development. Once a tooth has formed, the function of the pulp is to preserve the tooth's health and vitality. Some times the soft pulp breaks down because of bacterial infections or inflammation from a number of possible sources. In a nutshell, the process of root canal treatment first removes bacteria, nerve tissue, and bacterial toxins from within the inner section of a tooth. Once the inner part of the tooth has been thoroughly cleaned out, the next part of treatment involves filling in and sealing up the inner part of the tooth. 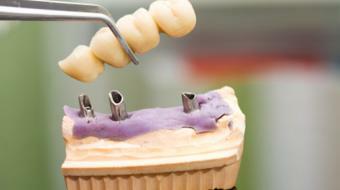 This part of the treatment is to minimize the chance that bacteria will be able to redevelop inside the tooth. The seal also encloses any debris that could not be fully removed during the cleaning portion of the root canal treatment process so that it can't leak out and cause inflammation again. 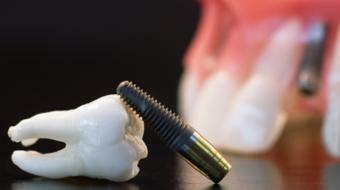 Why have a root canal treatment any way? The idea behind having a root canal treatment is that it helps your body by removing bacteria and irritants that are present inside the tooth. Once root canal treatment is done it provides your body with a situation where it has a better chance for complete healing and you are able to keep your natural tooth in place. Are you a health practitioner that works at Midtown Endodontics? Sign up with Health Choices First.